What an amazing, welcoming, friendly team. Will never stay in another guesthouse in Knysna. What a way to start our holidays here in South Africa! Amazing place – lovely people! Thank you very much! Good luck to you all. Hope to be back very soon! Words cannot describe what we feel towards this truly wonderful place. We will return! We had a wonderful time here! The room and the view over the ocean was amazing. Thanks to the whole team for the hospitality. See you next year, we will come back! Outstanding and breathtaking place! It’s unforgettable days. Thank you all for this lovely experience! Visiting you again is a must! Such a great place! We loved it! Mr Alexander and the whole team are so loving & caring! Have to come back. Unforgettable Honeymoon! Dear Wayne and Staff, awesome place! Everything is so well thought out and the service is excellent! You made our mother and son trip complete! Thank you! The days here will be eternalized! Thank you very much! Thank you for the hospitality! Having a great breakfast with that view is absolutely memorable. Thanks so much for your hospitality! One night was too short. We loved the place and hope to come back soon! 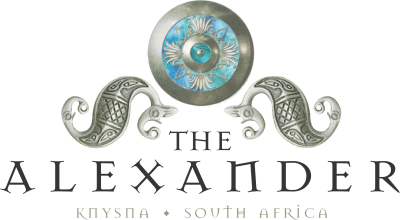 Our first time in South Africa and we found here at the Alexander the Best place to be! Thank you for giving us a home so far away from our family! Eih herrliches platzchen! Kaum zu toppen! We come back and enjoy!. We are back and it was like every year – great, best breakfast and a lot of whales – see you next year! Best view ever – best breakfast ever – best staff ever! Thank you for taking care of us. We’ll be back! Thank you so much for this pleasant stay! Thanks so much for all the kindness and hospitality – you really made us feel welcome and appreciated as guests. Thank you! Thanks for fantastic stay. We are coming back. Hartelyk dank. We enjoyed our stay in this house. Warm, friendly feeling and beautiful decoration and very nice good food and wine. We had a very pleasant stay here! Thank you for your wonderful assistance during all the time. Hope to come back soon! We enjoyed every moment of our stay in your friendly house! Next year again! What a great place to be – wow – we definitely will come back. Thanks for the outstanding service. Thank you all so much for a fantastic time in the Captains Suite. Looks like we will be neighbors soon! Burget & R Capt George	4-11-17 Thank you all so much for a fantastic time in the Captains Suite. Looks like we will be neighbors soon! Wonderful stay! Thank you for pampering us! Absolutely fantastic place, we really enjoyed staying with you, only wish we could stay longer. Thanks as well for helping out with our car. Thanks Wayne & Team. We enjoyed a fantastic hospitality in your stylish house at this great location. A fantastic stay in a stunning guest house. Brilliant host and staff, plus an awesome breakfast!! We will be back. Awesome atmosphere in the guest house, friendly staff and beautiful accommodation we will recommend to our friends. Ps Yummy breakfast. The beauty of the property is matched by the amazing staff – Thank you so much. Wow! Thank you to all, Wayne, Dirk, Memory, Charmaine, Daniel, Ricando for your warm & excellent hospitality. It has been a wonderful stay and outstanding experience in Knysna. Your presence, attitude, love among other traits is amazing – keep it up. Can’t wait to get home & share the beauty of staying in your home! Thank you so much & stay blessed. Thank you, Wayne, Daniel & Memory and Ricardo. It was a wonderful stay with perfect views & perfect service. The breakfast was amazing with the best-poached eggs we had in years. Thank you very much for the amazing stay!! Everything was absolutely fabulous. The view, the breakfast, the friendliness. We will definitely come back! The stay was lovely. Perfect breakfast, room, view and staff! Thank you for everything. We loved their place! The setting is magical, the breakfast is to die for and the staff (Wayne and his team) is just lovely. Thank you for everything! Thanks for the lovely stay in your awesome house. We really enjoyed your hospitality. We could talk about the amazing view or the unique stylish atmosphere, but what makes Alexander so special is its very kind staff. Hope we will come back. Merci Beaucoup. The best experience we’ve ever had – feeling spoilt by an amazing view, delicious breakfasts, warm and engaging team, and just beautiful spaces around every corner! Thank you, we’ll be back! Dear The Alexander Staff – Thank you for being the highlight of our trip to South Africa. Our stay was spectacular! We hope to repeat it one day! This is paradise at sea, we love the room, atmosphere and especially the great service of all the staff. Big five kisses from the Dutchies. Just great! More we can’t ask. Thank you. We’ll come back.